Lowering vehicle speeds are one of various tools to improve road safety. Higher speeds increase the severity of crashes since drivers have less time to react. 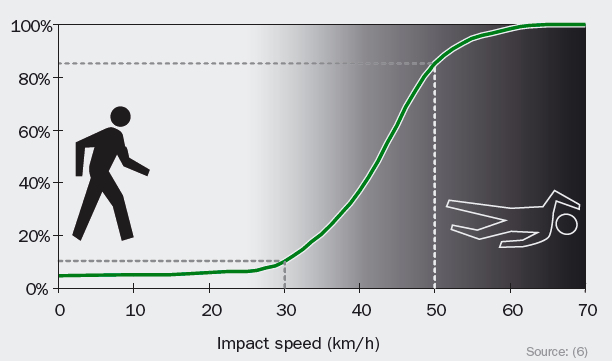 In particular, pedestrian and cyclist fatalities increase as vehicle speed goes up. Research studies have found that higher speed leads to more collisions involving children, who are more often injured in pedestrian and cycling injuries and casualties. Children are usually injured mid-block, often on residential streets, and in front of their home or a park. Not sure what kind of street you have? Check out our definitions of road classes, or search by street name, map or ward on the City of Toronto’s website. Lower speed limits are more effective when combined with enforcement and education. A comprehensive approach that includes local Police Services and other community groups is a good idea when making speed limit changes – we provide you with some education ideas in our Toolkit. 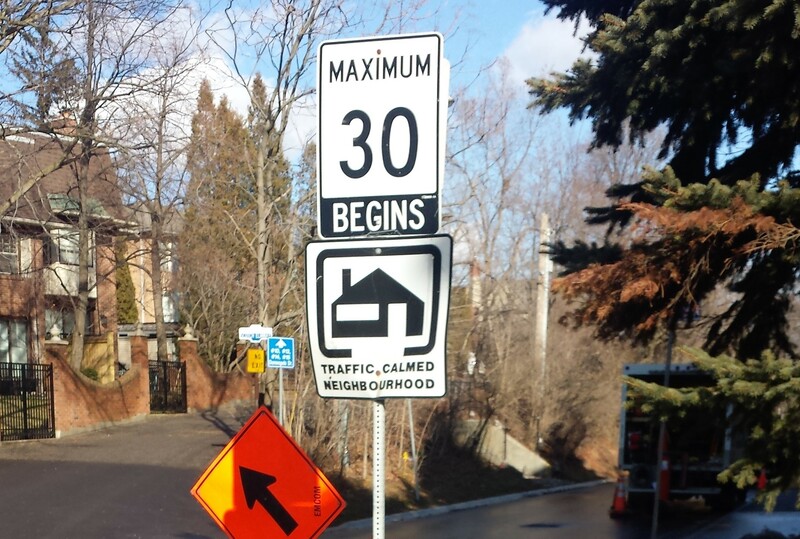 Also, keep in mind that lowering speed limits is only one of the tools available – depending on your street’s design, traffic calming interventions may be more appropriate and effective.